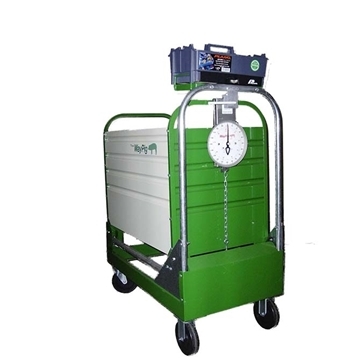 Accurate pig scales allow producers to quickly and efficiently measure piglet litter weights and sort grown hogs for market in order to increase load uniformity and maintain proper trailer rating capacities. 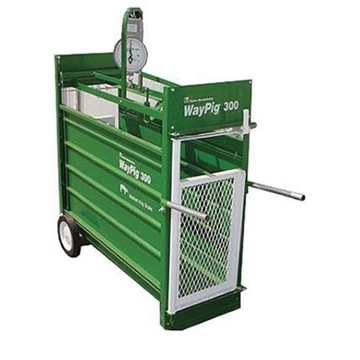 WayPig® brand scales, replacement parts and accessories available through Hog Slat. The portable WayPig® Litter Scale allows producers to quickly maneuver through the barn to obtain accurate piglet litter weights. 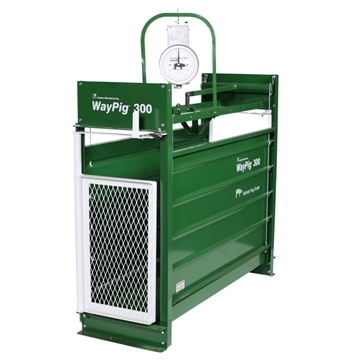 The WayPig® 300 market hog scale can be used as a stationary or portable scale option to accurately weigh grown pigs to effectively sort and manage hogs that are ready for harvest. 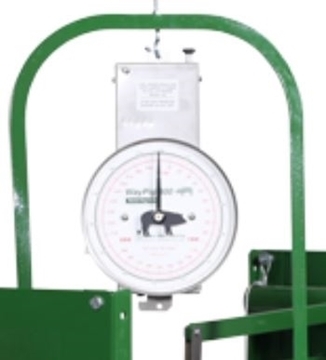 Replacement mechanical scale heads for WayPig® Litter and Market Hog 300 pig scales. Wheel and handle kit for WayPig® 300 Market Hog Scale. When installed on a stationary unit, the scale can be moved from barn to barn as needed.